From the Pythagorean theorem to DNA's double helix, from the discovery of microscopic life-forms to the theory of relativity—the big ideas of science and technology shape an era's worldview. 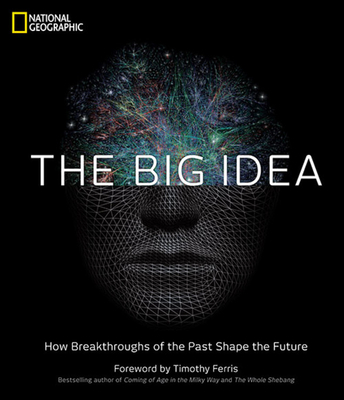 Open this book, grasp the newest ideas from thought leaders of today, then spring off from them to move back through the past, one big idea at a time. Meet the people who gave birth to these ideas—and those who fought against them. Meet the MIT electrical engineer currently developing a way to turn on the lights cordlessly, then move back through Nikola Tesla's visionary concept of the wireless transfer of energy, Thomas Edison's groundbreaking work in developing a nationwide electrical grid, Ben Franklin's experiments to capture electricity, all the way back to ancient Greece, where Thales of Miletus described static electricity as a property of naturally occurring amber. Ingeniously organized and eminently browsable, this richly visual volume is divided into six big sections—medicine, transportation, communication, biology, chemistry, and the environment. Words and images that work together to explain such fascinating and elusive subjects as cloud computing, sunshields to cool the Earth, and self-driving cars. What did it take to get to these futuristic realities? Then, turn the page and follow a reverse-chronological illustrated time line of science and technology. This remarkable illustrated history tells the story of every Big Idea in our history, seen through the lens of where science is taking us today - and tomorrow. With an irresistibly cutting-edge look and original illustrations created by award-winning Ashby Design, paired with the reliable authority and comprehensiveness that National Geographic's world history books always offer, this is a one-of-a-kind trip to the future and back through all time all in one. Timothy Ferris is the author of a dozen books, among them Seeing in the Dark, The Whole Shebang, and Coming of Age in the Milky Way, which was translated into 15 languages and named by The New York Times as among the leading books published in the twentieth century. Called "the best popular science writer in the English language" by The Christian Science Monitor and "the best science writer of his generation" by The Washington Post, Ferris has received the American Institute of Physics prize and a Guggenheim Fellowship, and his works have been nominated for the National Book Award and the Pulitzer Prize.